Daniel Dennett is relevant today for understanding what the mind is and how it works, and he is possibly one of the first encounters with philosophy that anyone interested in the topic will find. 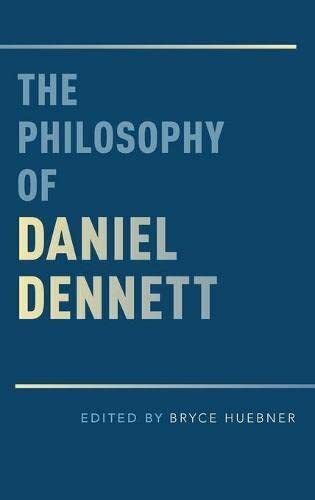 This book, written by a new generation of scholars, is a successful compilation of philosophical accounts that may draw forward our insight of Dennett's philosophy. It is clear that the aim of this volume is to provide a general panorama of Dennett's most relevant theories. But this compilation stands out from others because the chapters were written specifically for this endeavour by contemporary researchers, as opposed of it being collected papers published elsewhere. And, in my opinion, each chapter is remarkable because the authors provide actual theories of how the philosophy of Daniel Dennett is applied, and not just a critical dismissal of his ideas, as it is often the case in philosophy. Also, the fact that Dennett responds to the objections after each chapter completes the philosophical picture nicely. The introductory section is a helpful reminder of Dennett's main claims, together with an analysis of its importance nowadays. It also illustrates in a clear way how these are interconnected at various points to form a system that links beliefs, rationality, consciousness, culture and religion. And, although this is a formal book, featuring strong analytical arguments, the style is very approachable. Although each section can be read independently, going through them in the proposed order is a great way to understand Dennett's philosophical commitments and how these have evolved from its original formulation. The main topics discussed along the eleven chapters (plus, Dennett's comments after each section) are the following ones: The Intentional Stance, the Personal-Subpersonal Distinction, a Darwinian-like type of Consciousness, Compatibilism, Memetics, and Dennett's view of Religion. Personally, my preferred part of the book is the discussion about memetics, which I found strongly based on recent cognitive theories. The chapters related to this theme provide an efficient way of getting to know interesting objections, to which the authors provide valuable alternatives. The only downside of this volume is that some authors tend to introduce specialised terms too quickly, but this might be because some areas of the debate require a certain amount of previous knowledge in order to push forward our insight. This book may be of interest to those who deal with problems about philosophy of mind, epistemology, and cognitive science. But, because of its practical approach to consciousness, culture and religion, it is potentially interesting to sociologist, psychologists and clinicians who are familiar with philosophical discussions. In my opinion, it can be used as a great textbook for a philosophical and clinical environment, as well as a platform for contemporary research in philosophy.